highlysensitive | Tania A. Marshall, M.Sc. This blog has been viewed over 388,000 times. Tania Marshall© 2013-2017. All rights reserved. Aspiengirl and Planet Aspien are trademarked. Thank you. The following list is my official working screener document consisting of the unique characteristics and traits of pre-school girls with Asperger Syndrome, or AspienGirls. It is not a research-based formal assessment tool. This list comes from the many pre-school girls I have worked with over the years. I have assessed, observed, diagnosed and worked with hundreds of girls and women of all ages across the lifespan. This document is based on my clinical anecdotal evidence and research by other well-known professionals. I will be modifying and/or updating this list from time to time. This list was written from my reflections, observations and experience, and is written in no particular order. No one person needs to have every trait, and it is rare that a person would identify with every trait. ***Please be mindful that research often lags many years behind anecdotal, observational and clinical work. 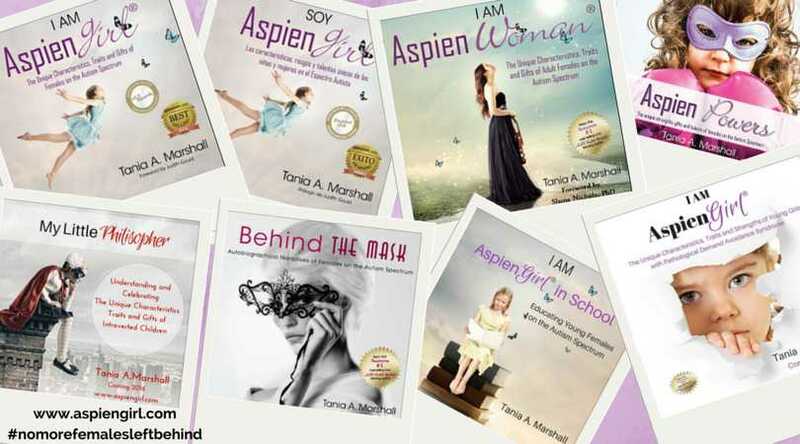 Tania has completed the sequel to her best-selling book I Am AspienGirl, entitled I Am AspienWoman, both published best sellers and IPPY eLIT Gold Medal Award Winners. The following profile was created for family members or professionals who are considering a formal diagnosis and to assist mental health professionals in recognizing Asperger Syndrome or High Functioning Autism in pre-school females. 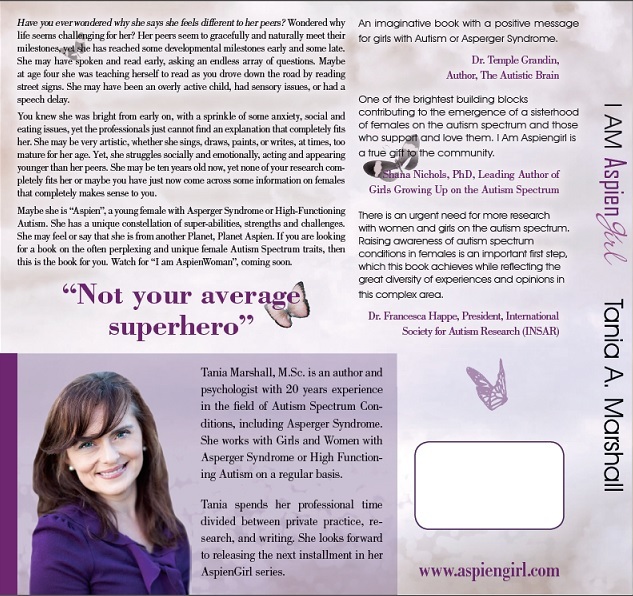 Females with Asperger Syndrome experience their symptoms in varying levels, so while some AspienGirls are highly introverted, others may be extraverted. I will be writing about “subtypes” more in the future. This list typifies many of the young AspienGirls I have worked with. I can be contacted at tania@aspiengirl.com for diagnostic impressions assessment, intervention, support, interviews, workshops/conferences, and translations. 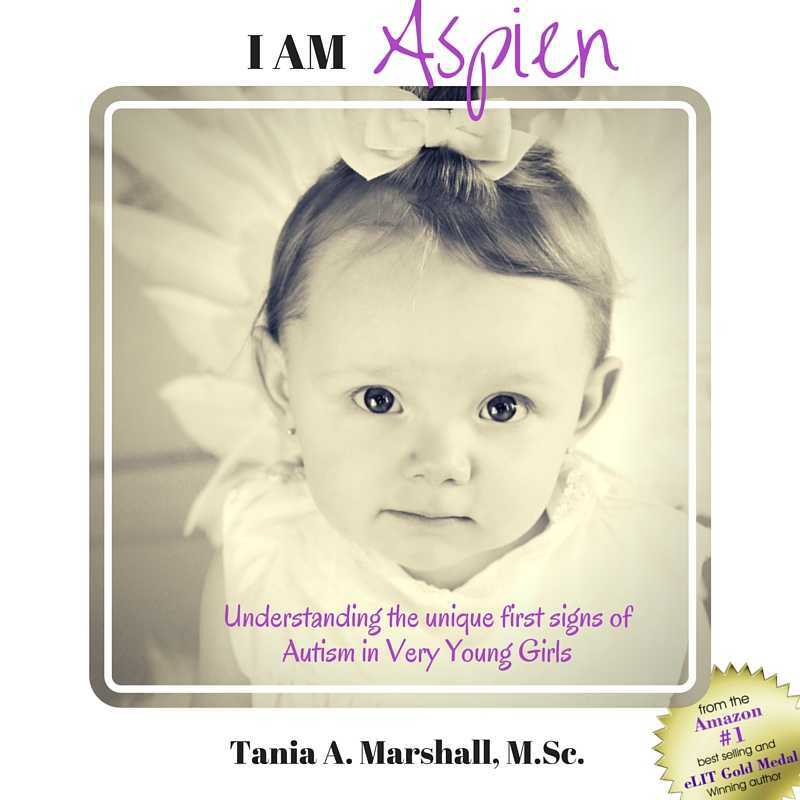 In my clinical practice and experience with hundreds of females, I have become familiar with some very subtle common and early first signs of Asperger Syndrome in young girls, from birth through to pre-school years. The following are some very common early characteristics, traits, gifts and talents that I have seen in my work over the years. 1. Intense emotions: In particular, separation anxiety, stress, anxiety or distress. This is coupled with an inability to be comforted by affection, distracted by a toy or change in situation, or by discussion or conversation with an adult. Anxiety and “shyness” is very common. 2. Sensory sensitivities: There are most often sensory sensitivities involving vision, hearing, taste, smell, touch, balance and/or movement and intuition or a 6th sense. This is known as sensory processing disorder (SPD). First signs may include a sensitive head, not liking to have their hair brushed or washed, clothing sensitivities, and/or food sensitivities. 3. Coping with transitions and/or change: An inability or difficulty coping with change or a resistance to change. 4. Language skills: Atypical or unusual traits in terms of the development of language skills. May have more formal or pedantic use of language. May not be able to express in words what she wants to say. Articulate. 5. Speech: May not typically be delayed; however, there may be a loudness or softness in the voice. May regress to babyish talk when stressed, anxious, or avoiding something. She may have begun talking very early. 6. The social use of language: May be apparent in that the linguistic profile can often include semantic-pragmatic difficulties, so that the pedantic speech may be apparent and their are noticeable eccentricities with the “art of conversation”. May use bigger words than her peers. She may also be socially immature, in comparison to her peers. 7. Hyperlexia: May have taught herself to read before formal education. AspienGirls often have an intense interest in reading and develop an advanced vocabulary. 8. Play: Adults may notice the AspienGirl may not want to play with others or she may direct others’ play, rather than play in a reciprocal and co-operative manner. There is an element of her being “controlling” or “bossy”. She may tell adults that she finds her peers play confusing, boring, or stupid. She may prefer to play on her own, with her animals/toys or with boys. If she is extraverted, she may have difficulty with personal space (hugging and/or touching too much, poking or prodding, bumping or touching them, continually calling her peers names, not understanding that a best friend can play with others). Often may need more solitude than their peers or may not be able to socialize for as long as their peers are able to. Engages mainly in parallel play and seeks the company of adults/educators throughout the day. 9. Interests: An AspienGirl’s interests are usually different to other typical girls in its intensity and quality, rather than the actual interest itself. Often, play can be observed as more of complex set-ups, organizing, sorting, collecting, or grouping items rather than actually playing with them. She may be observed re-enacting a social scene from her own experiences at daycare. A commonly observed interest is collecting stationary/art items, teddy bears, and the like. They may line up colouring pencils in a particular order of colours and have collections of erasers and/or journals. 10. Conventionality: AspienGirls are born “out of the box” and may be observed playing unconventionally. Some prefer Lego, the sandpit, trucks, cars, or dinosaurs. Many think in different or unconventional ways, asking continual and exhausting amounts of questions pertaining to how things work, why things are the way they are, or why people do or say certain things. Many are quite highly sensitive and will ask about death and/or what happens after death. 11. Appearance and clothing: Young Aspiens may look more tomboyish in appearance or ultra princess-like, usually preferring clothing that is comfortable. She may want the tags cut out of her clothes and complain about the seams in her socks. She may prefer to wear the same outfit day in and day out. 12. 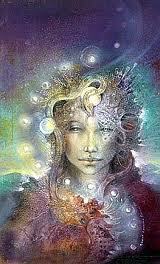 Imagination: AspienGirls often have advanced imaginations preferring to spend time involved in; fiction, books, fantasy worlds, fairies, unicorns, ponies, Pegasus, talking to and/or having imaginary friends, or imaginary animals. This may be observed at times to the extent that the child may believe they are an animal, a fairy, and so on. There may be some difficulty distinguishing between fantasy and reality. 13. Writing: AspienGirls are often interested in writing and write their own stories on sticky notes, journals, and have an interest in fiction at an early age. 14. Nature and animals: AspienGirls have an intense love for nature and animals, often preferring them over people. They have an empathic and intuitive relationship and an understanding of animals rather than people. 15. Gifts and talents: Most, if not all, AspienGirls have gifts and talents including, but not limited to; singing (perfect pitch or perfect relative pitch), music, art (drawing, painting and other mediums), languages, acting and performing, dancing, writing, a superior memory and intelligence. 16. Determination: A strong will, determination, stubbornness and/or competitiveness, argumentative (with teachers, parents, or other adults), or a need to be right (even when she’s is clearly wrong). This may be labelled as Oppositional Defiant Disorder. 17. Facial expressions and emotions: A discrepancy between facial expression and feelings. For example, a “fake” smile, intense facial expressions or lack of, or inappropriate facial expression to the situation. May not understand or be confused by facial expressions. May laugh when she is in trouble. 18. Attention issues: Parents may have taken her to a hearing specialist due to not responding to her name, being “in her own world”, and/or thinking she may be deaf. 19. Hyperempathy: May be very sensitive to social justice issues, abuse towards animals, nature, or the elderly. May experience the emotions of others. May wonder why they feel different to others. 20. Intuitive: May tell you or know about events and people that they cannot possibly know about. She “knows” certain things without knowing how she knows these things. 21. Curiosity and questions: May ask an endless array of questions that at times, cannot be easily answered. May ask why they feel different to their peers or why their peers are not like them, or have the same interests. 20. Interests: Interests are usually similar to neurotypical girls, but the intensity is unique or unusual. An obsession with knowledge on a topic of interest is common. 22. Habits: Thumb-sucking can last until age 9 or older, biting of nails, and/or grinding of teeth. 23. Co-ordination: May have Developmental Co-ordination Disorder (DCD), hypermobility, clumsiness, or poor muscle tone. May not be able to catch a ball, ride a bike, or may have poor handwriting. 24. Anxiety: May have social anxiety, muteness, or separation anxiety. She may grind her teeth or be excessively clingy. 25. Fear: May have fear and/or phobias (insects and butterflies, dark, separation from mother). 26. Sleep: May have sleep issues. 27. Personality: May be intensely shy and introverted or very extraverted to the point of annoying her peers or family members. 28. The Social Hierarchy: Misunderstands and is unaware of the social hierarchy. May behave as if she is the parent, parenting their parents, their siblings, peers, or teachers. May not understand that she is a “child” or how to “be” a child. May be isolated, alone, or teased by her peers. May have a boy for a friend rather than girls. May not understand that she is a child (e.g. believing they are an animal or an adult). 29. Avoiding demands: May avoid demands due to anxiety (also known as demand avoidance or Pathological Demand Avoidance). 31. Maturity: May display interests that are more mature or less mature than her age group. May act at times more mature or less mature than her age. 32. Moral compass: A concern for the rules and a strong sense of justice. May have difficulty with perspective taking, theory of mind, social thinking and context blindness. 33. Social and emotional delay for her age, yet seen beyond her years. 34. Self-taught: Parents may observe some “self-taught” abilities and/or the child may resist being taught by others. 36. Gender: Some AspienGirls experience gender confusion very early, expressing a desire to be the opposite gender. They may not feel strongly either male or female. The key social diagnostic characteristics include: A. PLAY: may not be motivated to play with female peers. May play with boys or alone B. IMITATION: using copying and mimicking to imitate and attempt to fit into the social world. This helps them cope with their social confusion. C. INTEREST: a lack of interest in what their female peers are interested in or their typical play. A tendency to role play adult roles. A tendency to spend the majority of the time “setting up” the scene rather than playing with it. The interests are often similar to their peers, but it is the “intensity” of the interest that is the difference. There are differences in the areas of play, friendship and social situation abilities and interests. Tania holds a Masters of Science in Applied Psychology and a Bachelor of Arts in Psychology. 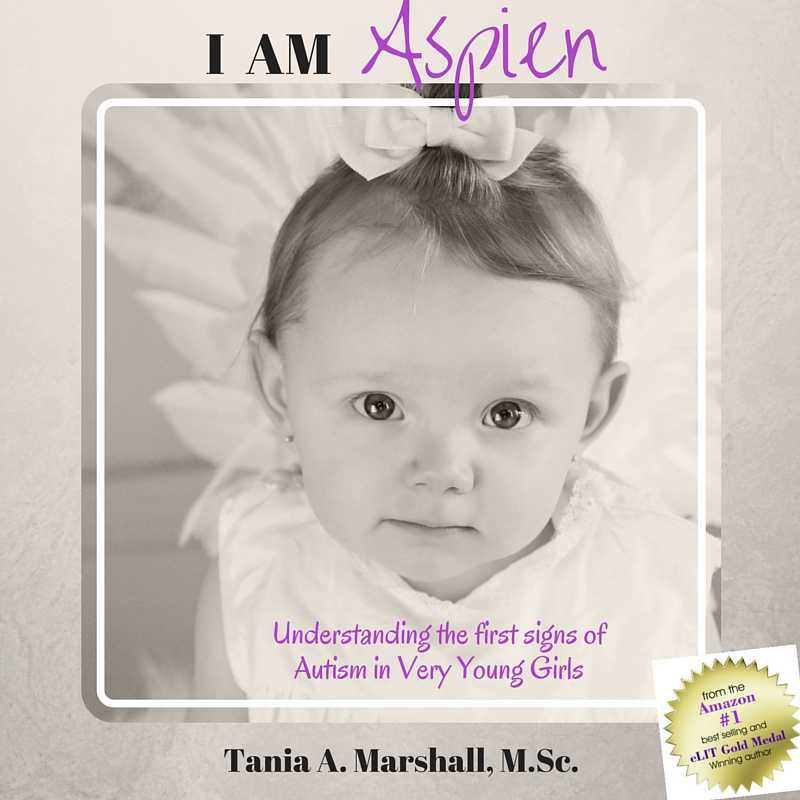 She is a two-time Gold Medal award winning IPPY eLIT award winning author and a two-time nominated ASPECT Autism Australia National Recognition Award Nominee for her work in advancing he field of female autism. She regularly provides diagnostic assessments, support and intervention. Tania is a Best Selling Author, Child and Family Psychologist, Autism Consultant, an APS Autism Identified Medicare Provider, a Helping Children With Autism Early Intervention Service Provider, Better Start Early Intervention Provider, a Medicare Approved Mental Health Provider and a Secret Agent Society (SAS) Trained Group Facilitator.